I’m frequently surprised by the diversity of birds that can be found in urban parks and suburban neighborhoods. A few native species, those less tolerant to human disturbance, are inevitably lost. But proper plantings can nonetheless foster a thriving bird community. Proper plantings, of course, being the key concept. Unfortunately, the sparse vegetation and excess of exotics along my route in the city of Los Banos made for more of a bird desert than an oasis. The start of our survey route in Los Banos. My walk followed the old railway line in the southeastern part of town, where Henry Storer went for a similar morning stroll in 1911. The first section is edged on one side by an almond orchard. The shady branches, though seemingly inviting, are utterly devoid of birds. No insects or weeds amidst the well-sprayed field. 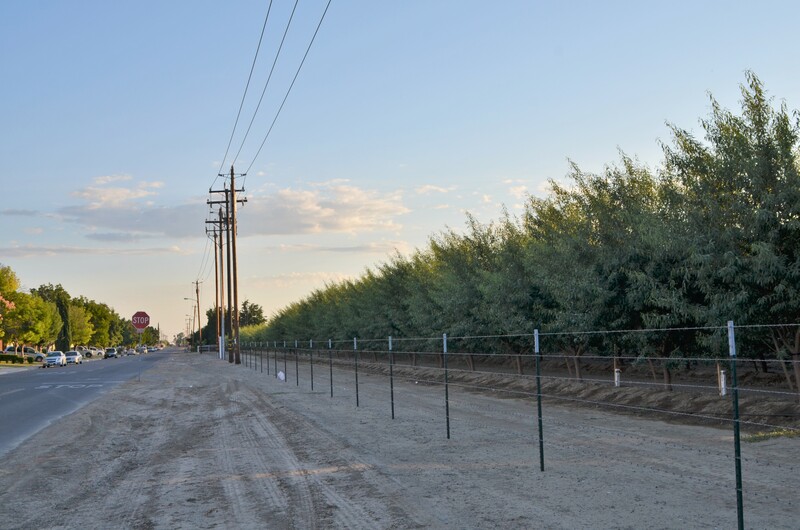 Line of almond trees along the road. On the opposite side of the road, turf lawns and ornamental hedges are the sterile centerpiece of residential houses, attractive only to blackbirds and starlings. There are no nectar-filled flowers to draw in hummingbirds or knarl-trunked shrubs to arch over scurrying sparrows. A large roster of charming native plants could fill those roles. And use a fraction of the water to boot. The railway track itself is long gone, replaced by a narrow parkway. The system of parks and parkways in American cities are perhaps some of the best ideas the country has ever had. Frederick Law Olmstead, the famed designer of Central Park, formalized many of the central tenets of park construction in the late 1800s: parks provide a therapeutic escape from the dirt and turmoil of the cities, and vegetated parkways string these jewels together like emeralds on a necklace (the “Emerald Necklace” is, in fact, the name given to one of Olmstead’s greatest systems of parks in Boston). Parks and parkways also happen to be excellent places for birds. Unfortunately, not all cities have the resources to carve such jewels. 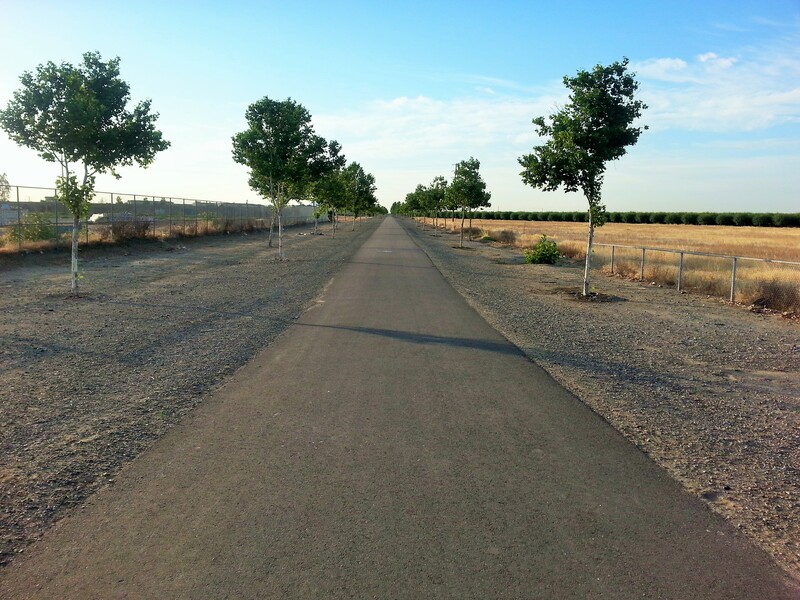 The parkway along the old railroad track in Los Banos is vegetated only by a spartan line of young sycamores (a tree of stream banks, not the dry alkali flats of the native countryside). Below their branches is gravel. And beside them, empty fields of dirt and weeds. Park along the old railway. The results were striking overall: the sparsely-planted exotics harbored only 21 species of birds, compared to 52 at the more naturally-planted park back in Bakersfield. The shortage of birds wasn’t the only discouragement over the last few days. It was hot. So very, very hot. One afternoon the temperature climbed up to a suffocating 108 degrees Fahrenheit. To combat the melting oppressiveness of the air, we tested the waters at the San Luis Reservoir. Lived in a few different Starbucks across town. 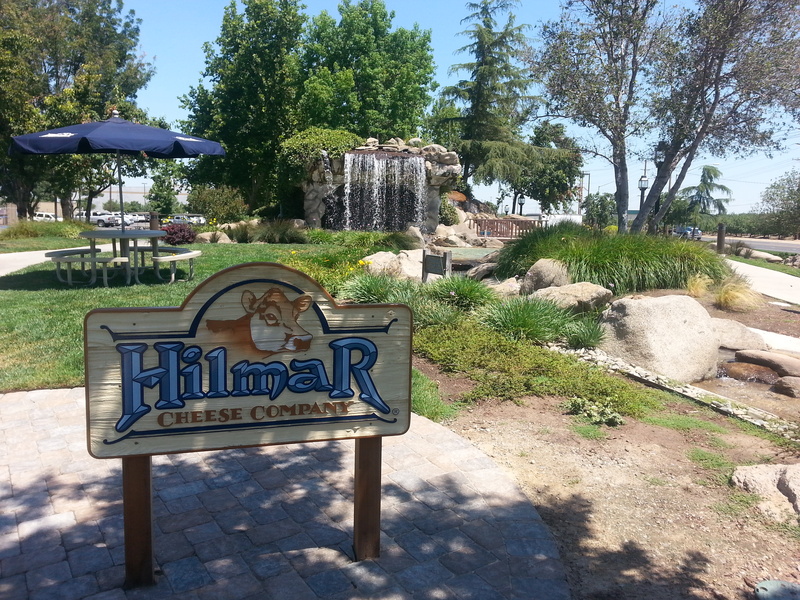 An even visited the largest cheese factory in the world. Don’t worry. That’s recycled water funneling over their massive waterfall. And with that, we exhausted literally every potential thing to do within a 1-hour drive of Los Banos. We even checked with the Chamber of Commerce, just to make sure.